Rascal is an energetic racoon, who lives in a secret forest called "The Snag Forest". Although sometimes his mother scolds him when he does mischief, the engaging and kind personality of Rascal always makes him popular in the forest. 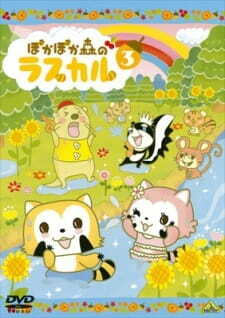 This series depicts everyday adventures of Rascal, and his cheerful friends such as Rilulu, a cute girl racoon, Rock'n, a skunk who loves to play music, Iggy, a mouse who always eats nuts and a lot more! !